Image Size: 17.25 X 14 in. 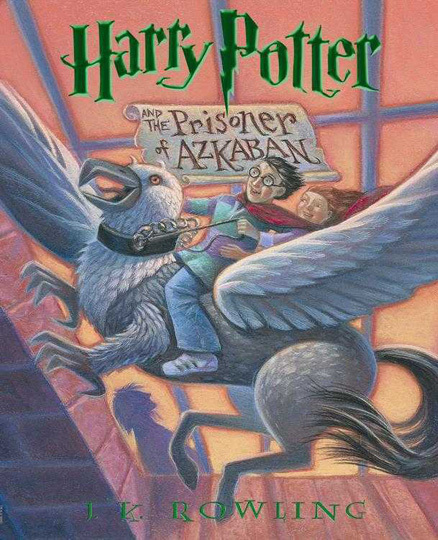 This image is taken from the book cover for "Harry Potter and The Prisoner of Azkaban", the third in the seven-book series by esteemed writer J.K. Rowling. The original image was drawn and painted by noted artist Mary GrandPre. Each print includes custom foil stamping and embossing of the book title and author's name, similar to the actual book covers.